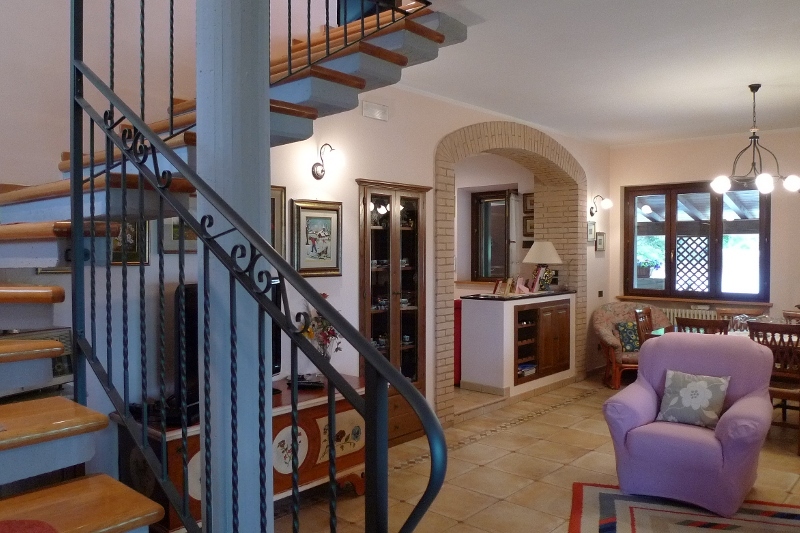 Ground: Entrance, kitchen, drawing room leading onto a large portico. 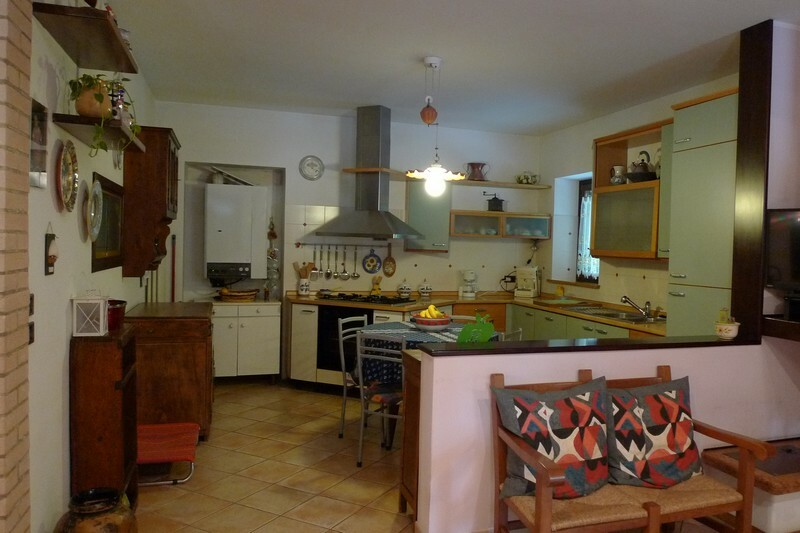 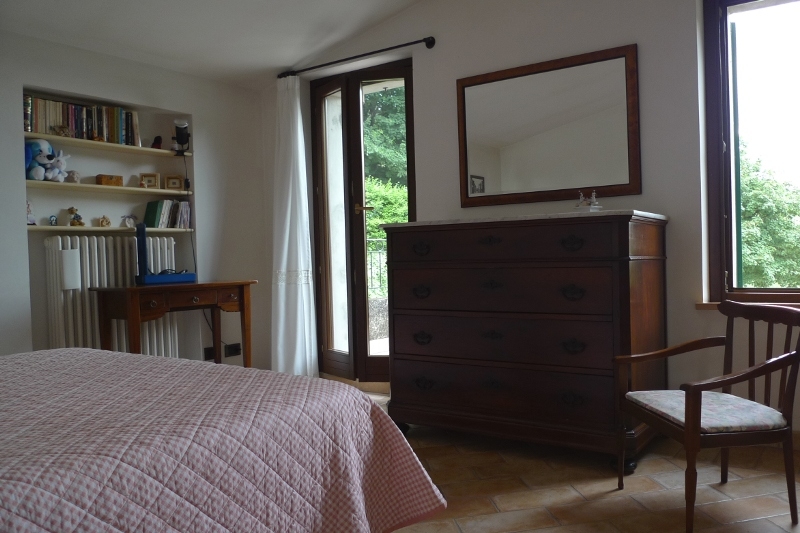 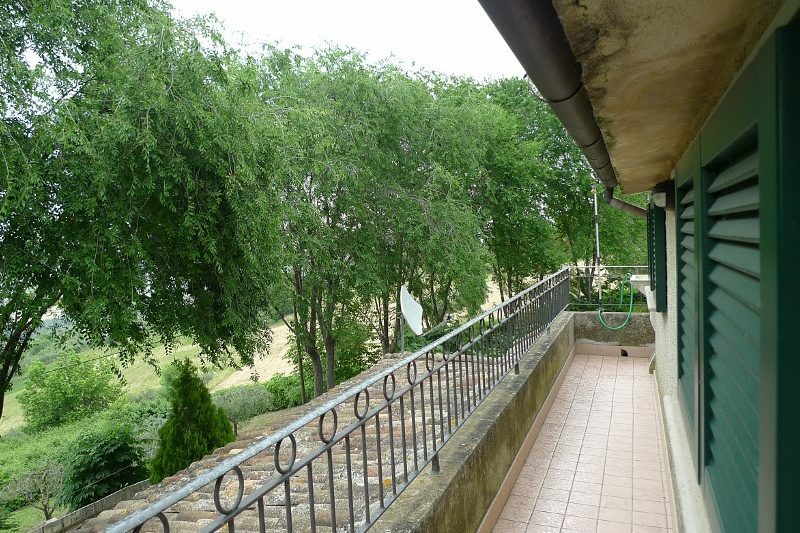 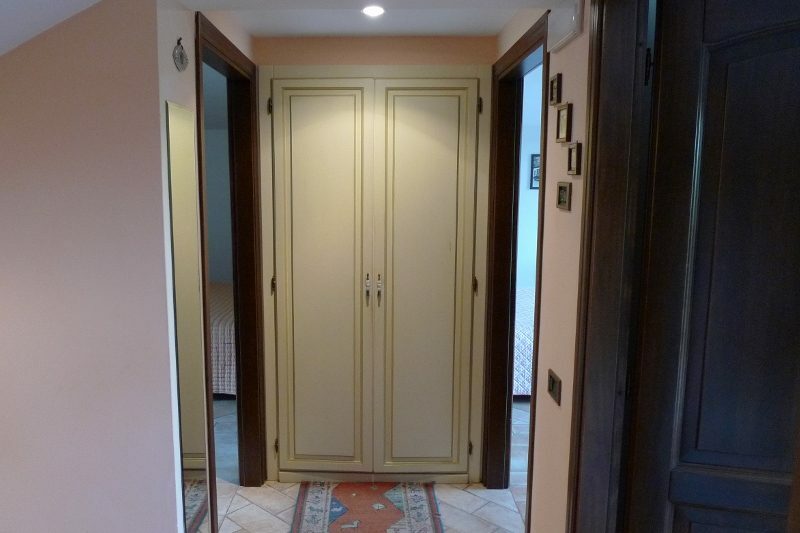 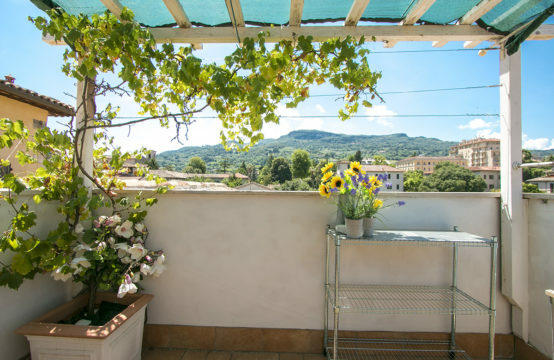 First: 2 double bedrooms, 1 small single a family bathroom and a terrace with sea view. 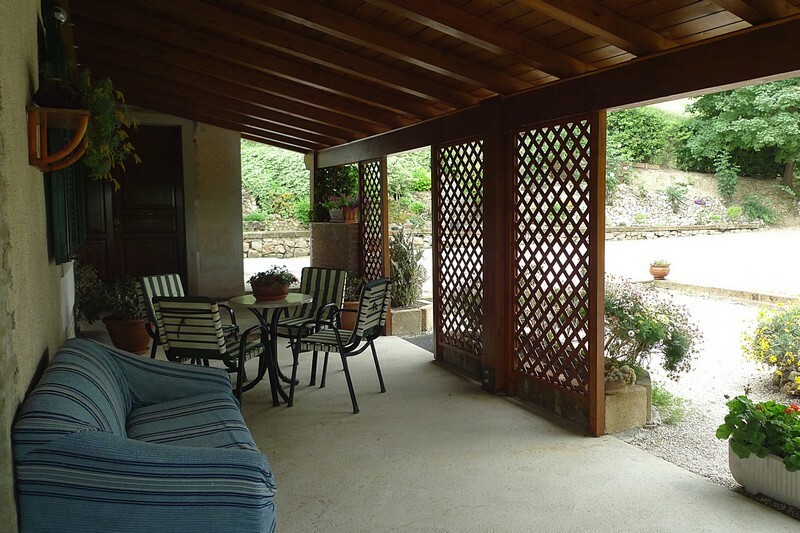 The portico is on 2 sides of the house and looks on to the well maintained and shady garden. 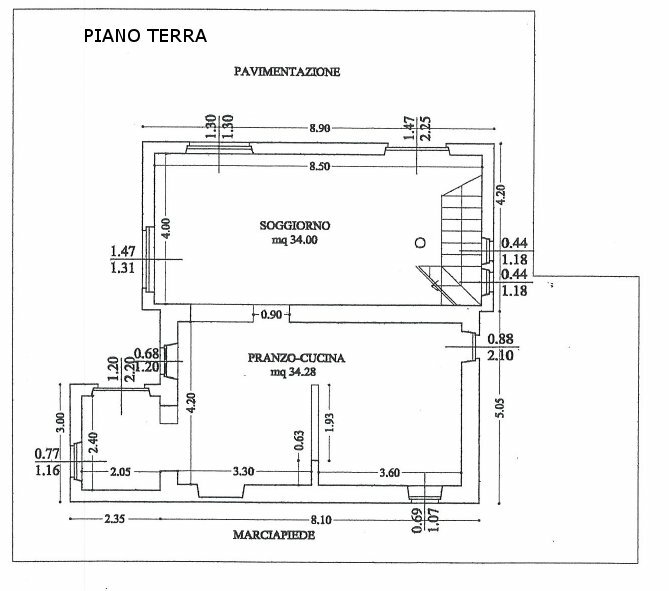 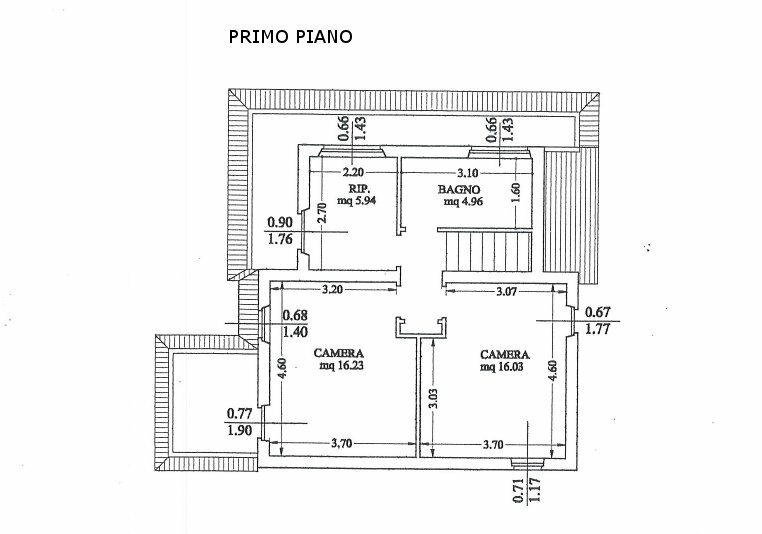 There is permission to build another 20 sqm for residential use. 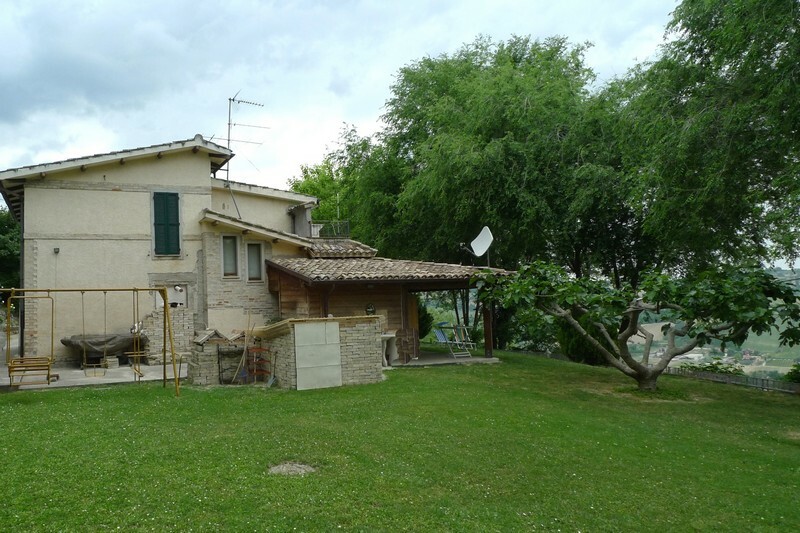 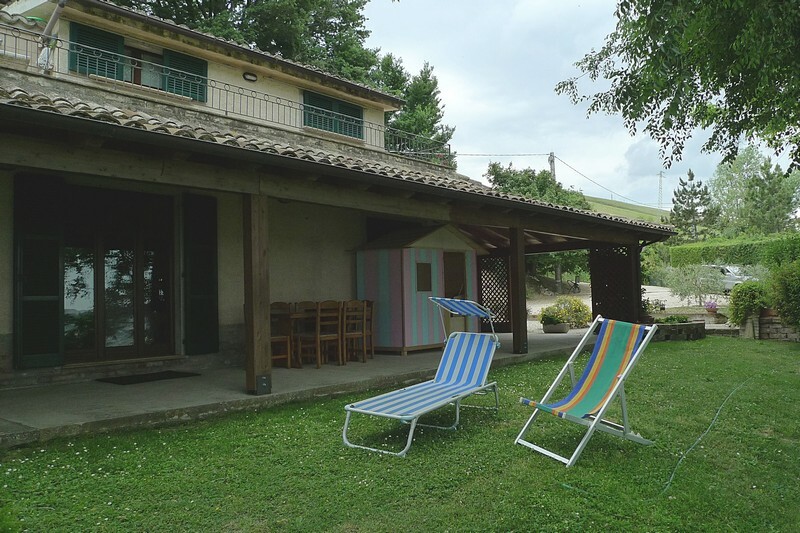 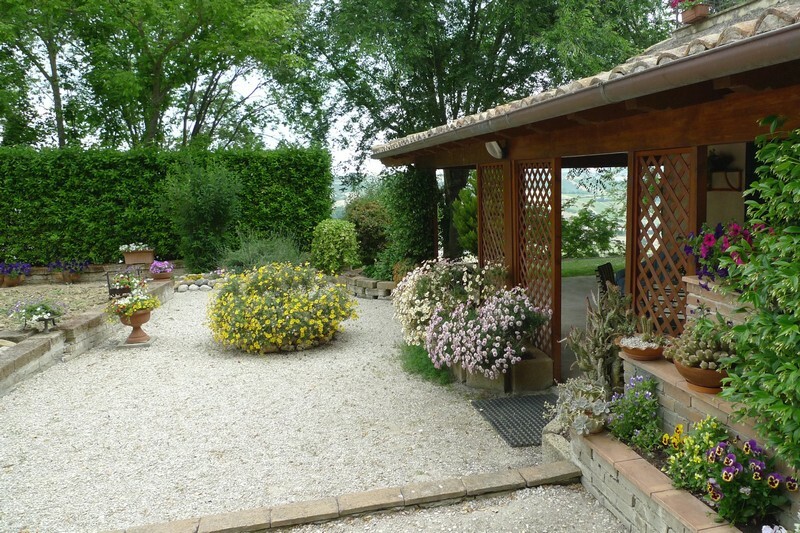 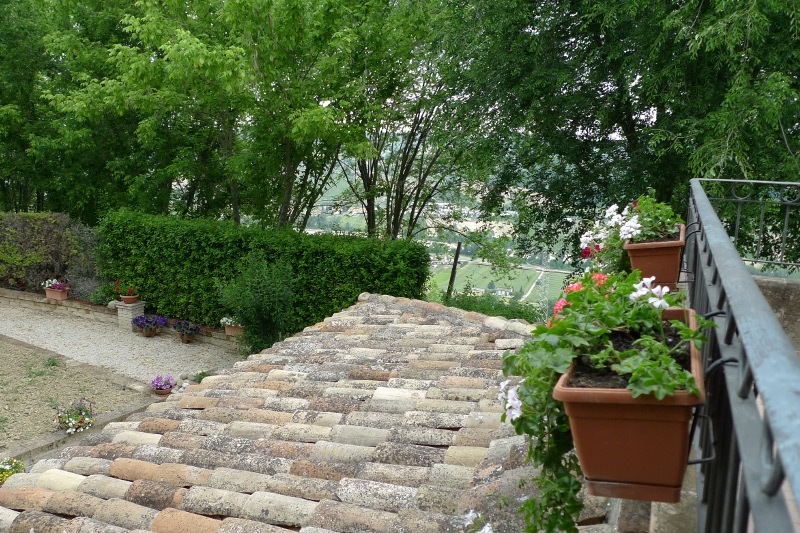 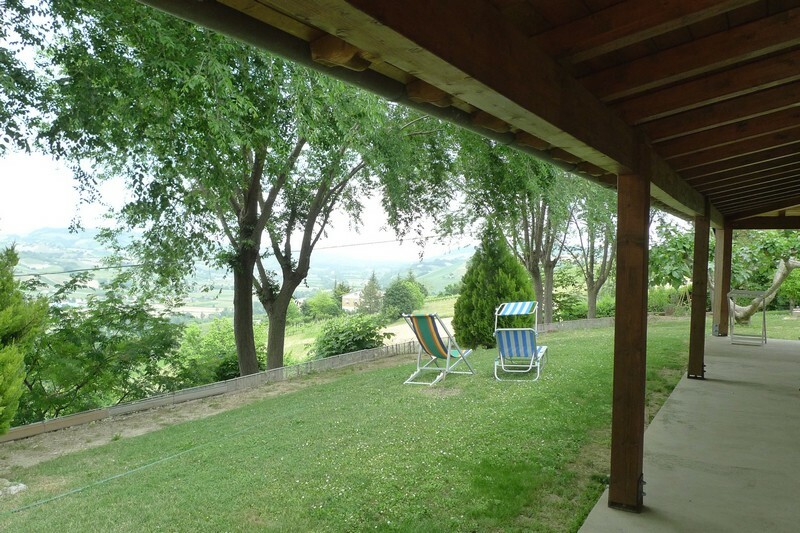 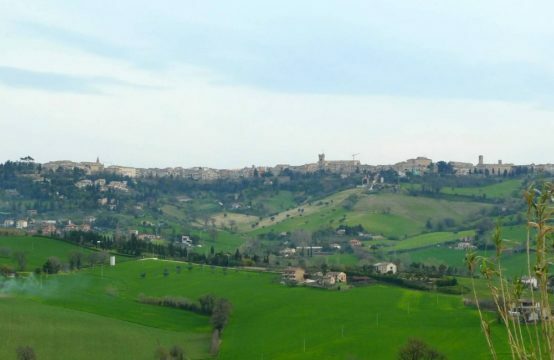 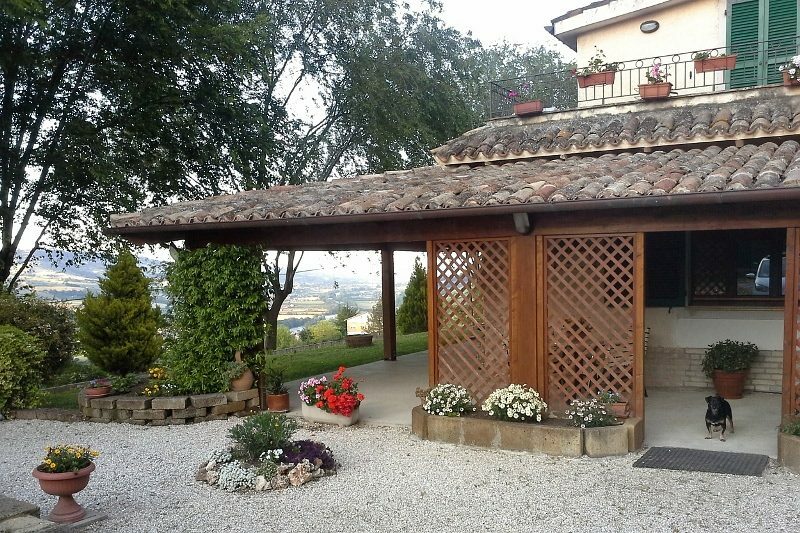 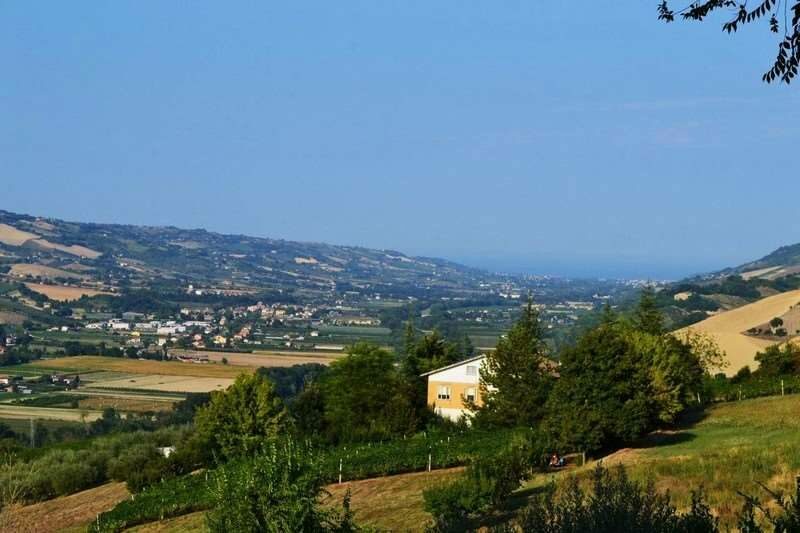 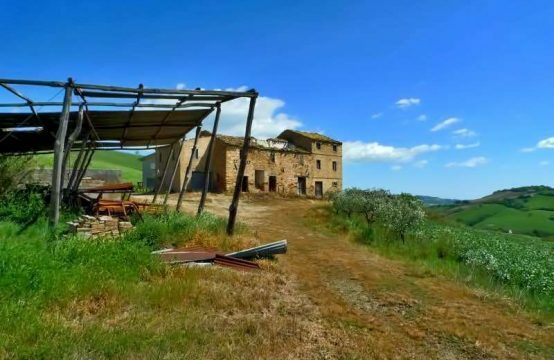 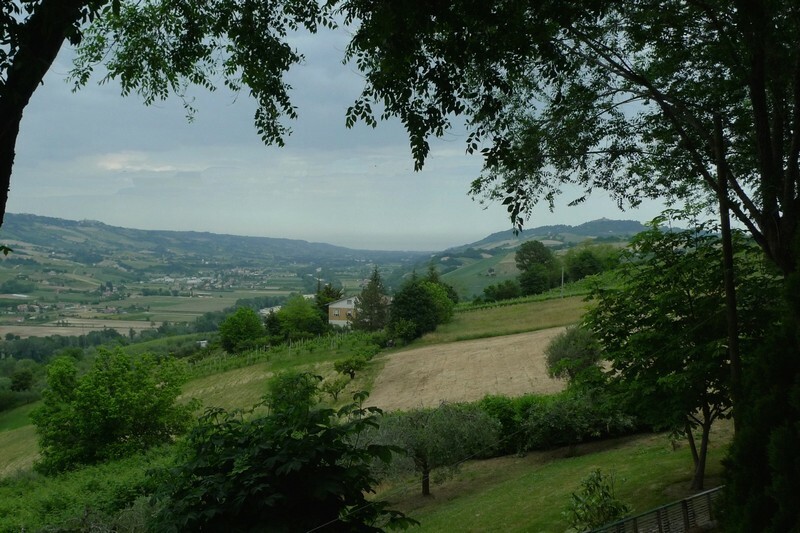 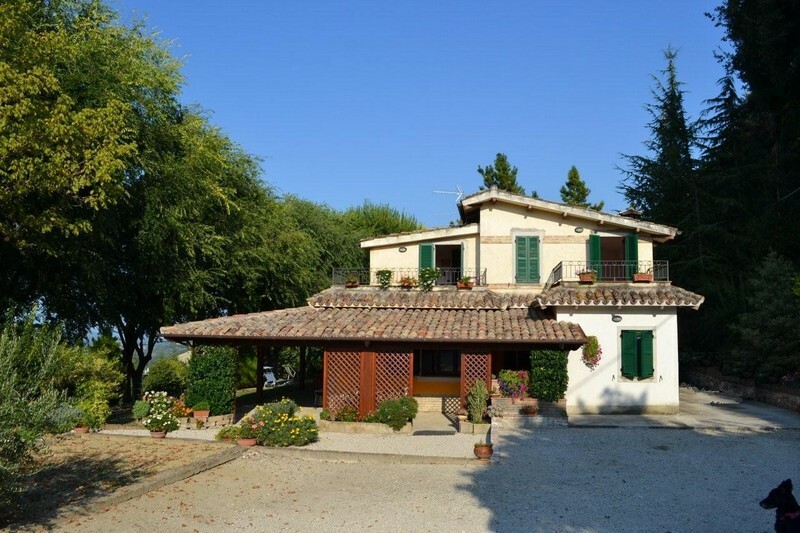 The restored farmhouse for sale in Le Marche is in the hills with sweeping views of the valley below, the mountains and the sea. 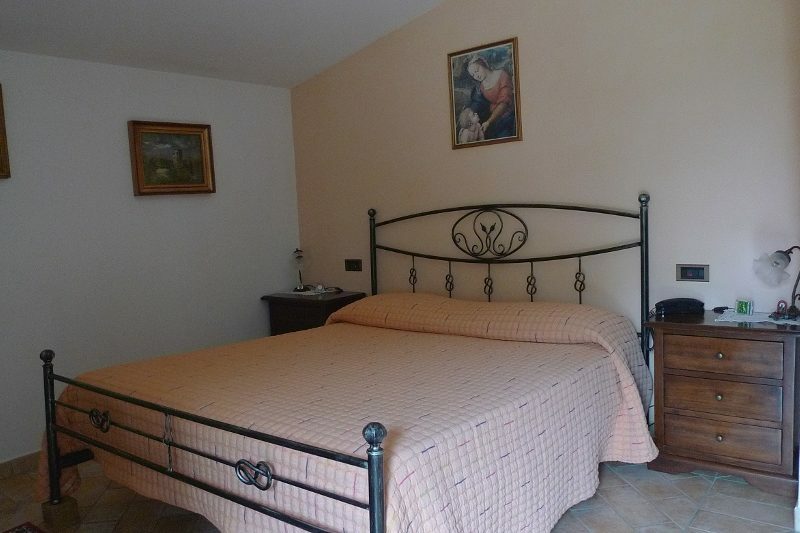 The position is private but the village of Carassai is only 1 km away. 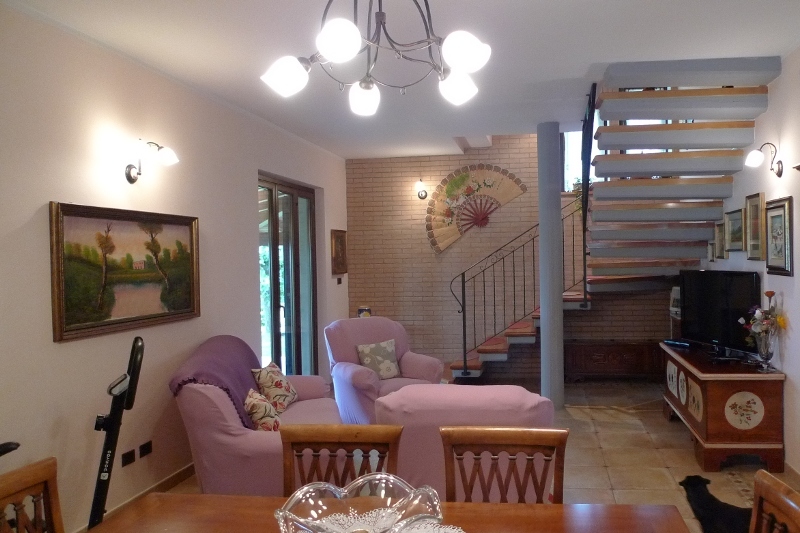 The seaside and the motorway at Pedaso are 20 kms away. 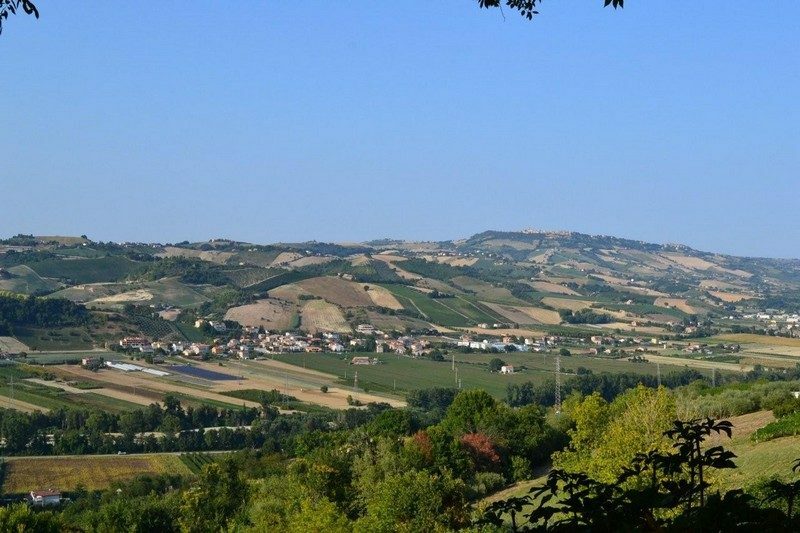 The airports of Ancona and Pescara are both 1 hr away by car.